Wii U exclusive headed to Steam. 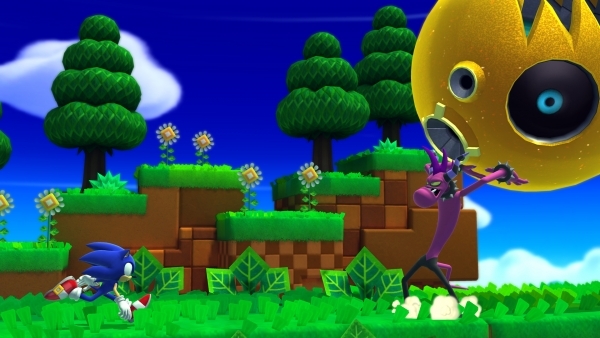 Sonic Lost World is coming to PC on November 2 via digital download, Sega announced. It will cost $24.99 / £19.99 / €22.99. Users who pre-order Sonic Lost World for PC will get Sonic and All-Stars Racing Transformed absolutely free. Originally released for Wii U in 2013, the PC port will feature full controller support, Steam Achievements, cloud saves, leaderboard functionality, interchangeable keyboard prompts depending on whether you play with controller or mouse and keyboard, and widescreen and high resolution implementation. It will also include the “Nightmare” downloadable content released post-launch for the Wii U version.